I found a cool blog a while ago titled Bren on the Road, read most of the posts and liked it so much I added it to my Blog Roll. Even though the author isn't RVing, it is a travel blog. Today I clicked on the sidebar link and went back to read some of the older posts that looked interesting. I'd read most of them, but they looked like subjects I'd enjoy reading about again. Bren is a young, single guy from Auckland, New Zealand traveling the world. Really, the world, but so many of his stories and tips work for RVers, too. And I really enjoy his writing style. I've spent hours going back through all the posts with titles of interest to me today. As I looked through the list of past blog posts, two of the them really spoke to me and I wanted to share them. The first post is kind of where I am right now, I pretty much have fulfilled all my dreams, wants and wishes. What do I do now? It was written December 6, 2017. The second one I especially wanted to keep handy because it's been harder for me to find interesting topics to post about lately when I'm in a "no inspiration, no motivation" blogging mode. It seems like a lot of us who have been blogging for years sometimes go through these "lack of motivation" times. Click the link below to be taken to that post. It was written October 9, 2014. 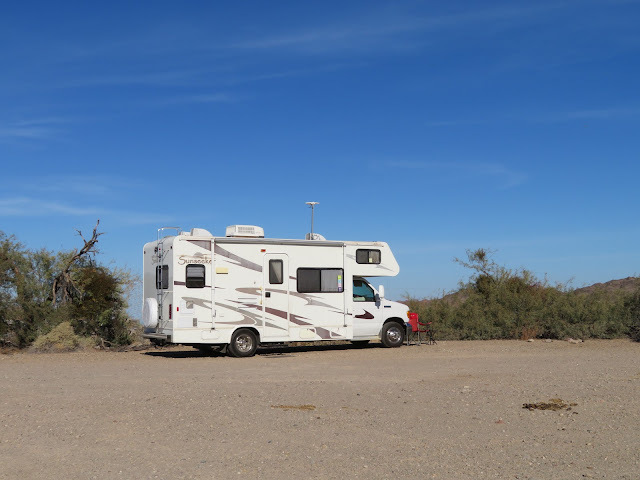 When I was reading this post, it emphasized to me how fortunate we RVers really are, those of us who are lucky enough to be able to leave home and travel. Whether it's to all the State Parks in New Mexico year after year, or camping in all the National Parks in the USA, or visiting each of the 50 United States. Some people have specific goals and bucket lists and some are just "on the road" like me. I have no itinerary and no long term plan. As long as I enjoy this lifestyle, I'll keep doing it, making it up as I go along. When it stops being wonderful, I'll figure out something else. "Us long term travelers are spoiled on the road. We forget what we’re looking at. We get lazy. Unappreciative. Another rural town with beautiful colonial buildings? Snore. Seen one of them before. "But if we stop being such jaded, stuck-up snobs, we might remember what this new town really represents; a new adventure. You might meet your next best friend here. You might hear a song that you would never hear anywhere else. You might fall in love with the girl who sits beside you at the coffee shop. You might eat a mandarin pie that is so perfect it will be seared into your taste-bud memory for life. "But we forget that. All of us do. "And that’s when I realised, this blog isn’t just for you. It’s for me, too." I don't think we are all spoiled, unappreciative or lazy, and the people I meet are definitely not snobs. But he's traveling as a single man in other countries, and we are in RVs in the US. Different kinds of travel - that might make the difference. But his concept, I think, is correct. He goes on from that point explaining... well, you can read the rest on his blog. Sometimes what Bren writes is so true! I use my blog for so many different things, sometimes I use the Search Box to find information I need, and when I get to that particular post, I end up reading it, and then some of the other posts around the same time, or in the same place. That always gets the creative juices going again and reminds me how much I love reading my old posts and remembering where I've been, people I've met, new birds I've photographed; great times, stressful situations, wins and losses - all the different crazy and wonderful experiences that happen when you live on the road. Could I possibly ever forget how lucky I am? And continue looking for the unusual, exotic and funny things I can write a new blog post about to keep those memories safe and available at the click of a Search button? Luckily I have my blog to look back and remind me. Even though Bren is traveling the world and is much younger than I, the concept is still the same and most of his blog posts have something in them that give me ideas or make me smile and nod my head. Hummm, I didn't mean to make this a review of Bren on the Road, but I do recommend it for current or future travelers. His posts are interesting and I especially liked the ones I've linked to. Who knows, you might get some good ideas, learn something new or just have an enjoyable read. I've never met Bren, but felt like I knew him when I first found his blog and read through his posts. After spending an entire afternoon re-reading some of his past blog posts, I feel like I've met him all over again. If you get a chance, check him out. The news I was talking about at the end of the last post is - Ta-DA! 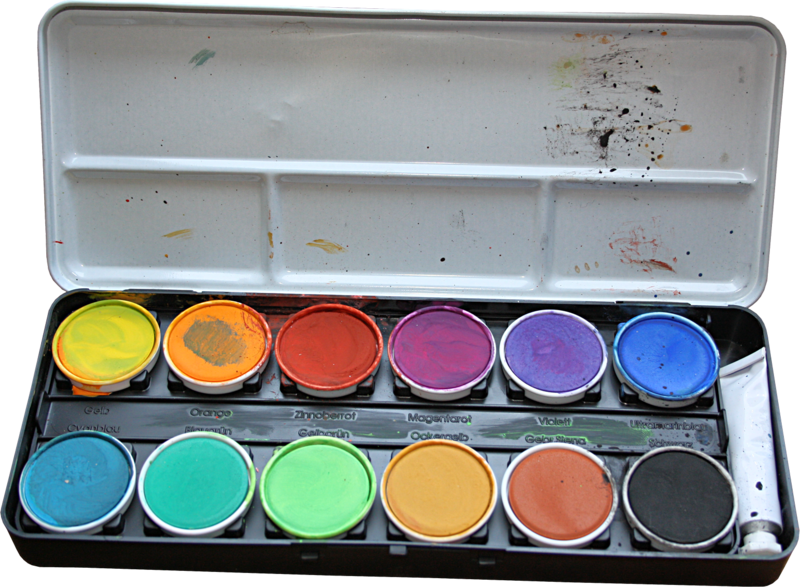 I've started another blog, My Art Bag, not a replacement for this one, but in addition to Me and My Dog ...and My RV. I was going to keep it private. I wanted a place to keep links, photos, copies of artwork I might do to keep track of my progress, etc., and who would be interested in THAT except me? But then my friend, Kim, previously of Kimbopolo and now her second blog, The Empty Attic, told me about Art Challenges she does. I thought that was pretty cool and loved her work, checked the links on The Empty Attic to see what the other people were doing, and decided I wanted to participate. To do that I needed to have the blog public so the hosts for the week can see the piece to do their judging for that week's challenge. Thank You Kim - you've set me off on a new creative path. And it's sure keeping me busy! This week I've entered two of my graphic art collage pieces. 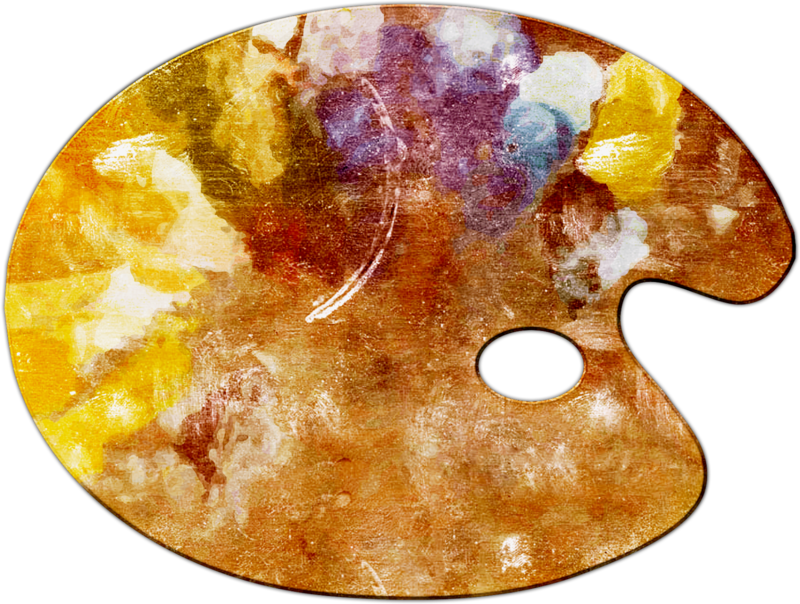 These sites are open to anyone, to submit any kind/style of art. I want to explore different ways of putting together my digital graphics into other styles. I love what I'm doing, but I want to grow into other areas and seeing the work of the other participants will give me ideas that I might like to try. If I ever get good enough to sketch or draw or paint a piece free-hand that is worthy of a submission I'll enter it, but that's way down the road. I literally can't draw a straight line or a circle freehand and my brain isn't pointed that way so I never have any good ideas. Of course, these challenges might help with that. I took the photo on the small easel below of a Black-necked Stilt in May of 2013 when I was at Caballo Lake State Park, Riverside Campground in New Mexico. 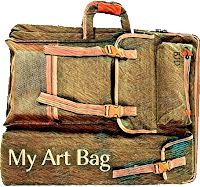 I put it through a program to make it look like a painting, then added it to five digital graphics to create a digital signature sign-off for The Art Bag posts. This is Digital Art Collage. And it's addicting! I remember the day I took that photo, so exciting - I'd never heard of this bird before and they were so fun to watch as they waded in the Rio Grande. I'm a total beginner making art with my hands, drawing, sketching, oils, acrylics, water paints. Those are the classes I purchased on Udemy.com during their Black Friday sale, which was awesome. (Thank You to Don Stier for telling me about the super prices on Udemy.com!) When I get started with those on-line classes I'll post finished products as I go along. They wont be pretty! Total, total beginner with that stuff. But I've wanted to create art my entire life, and I'm taking baby steps. Hopefully if I enjoy it I'll get better and better. I'm getting my feet wet with the digital art piece challenges. It's been a while since I've played with digital graphics and I'll continue to submit those to the Art Challenge websites. I purchased Adobe Photoshop Elements 2018 and an instruction class to learn about it as well as a book Kim recommended. I have lots of apps and a couple of programs similar but much smaller and easier to use than Elements, so my learning curve isn't starting from a flat place. But I still have a LOT to learn. Elements contains all the things I use my other apps/programs for - but in one place. Now I move my pieces from app to app transforming them as I go along. It would be nice to have it all in one program. They say as we get older, and especially when we're retired, it's a good idea to learn a new language, start a new hobby, participate in a new sport, etc. This will stimulate the production of new synapses in our brains, keeping us happier and younger and helping with brain growth. So for now this is what I'm doing. And I'm having a BLAST! 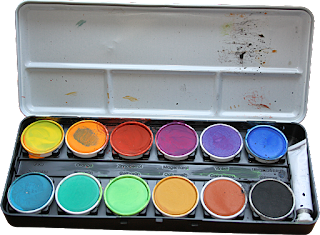 If you click the link to the new blog - My Art Bag - click on the photos of my Art Challenge pieces; you'll see more detail. My entries have some pretty small graphics. I'm starting to get comments and e-mails asking if Katie and I are okay - has it been that long since my last post? YES, it has. I went back to the last one and checked where we were, and realized my last post ended with a comment about heading to San Diego for medical appointments and then I didn't post for over a month. Sorry, everyone, the tests were all good and I'm on the road for another year. Last week I went across the border to visit my dentist, Dr. Rafael at Rubio Dental Clinic for my annual exam, x-rays and cleaning. Everything was good there, too. It's always a relief to get those things done for another year. We've been to a few different places, well I guess more than a few, since my last post. Below are some photos of where we've been - then I'll be caught up again. It's so pretty, I've seen people swimming in it, but not often. I just like to walk around it every year and enjoy the ambiance. I had a really nice, very large campsite this time, that felt very private, like a real yard. We were surrounded by trees and bushes except on the street side. Since it was really like a "yard" I was able to let Katie off her leash and she wandered around inside our site. It was nice for her. I also got a long lead that I could loop around a tree branch when I wanted her to stay close. When we went for walks, I'd put the leash back on. But most of the time she was free as a bird. Speaking of birds, there were Roadrunners here that wandered through our camp every day. One day I threw a little piece of meatloaf out the window and this guy came running. Isn't he a beauty? Look at the detail in his feathers. I'd look out the window, and he'd still be there. He really blends into the tree branches. Can you see him? I've never seen a Roadrunner up in a tree before. I met a bunch of really nice people here at Hot Springs this year, and look forward to seeing them again. I was having a problem draining my grey tank and finally called a company that clears clogs and cleans grey and black tanks. The only problem was that I needed to be camped where he would have access to a sewer and water. So I got a reservation in Yuma for one night at Sunset Palms RV Park and drove there for an overnight. I have to say it was really nice - full hook-ups, laundry next to my site, and clean showers, too. The company is All Pro Water-Flow, owned by John Michel. He arrived shortly after I got settled and started setting up. Meanwhile I was parked right next to the laundry and made a few trips back and forth. Sure is nice living next to a laundry for a day! When I came back from checking on the washing machines, he said he had good news. There was no clog - whatever the problem was, it was gone. So he continued to clean and sanitize both tanks and it cost me a lot less. 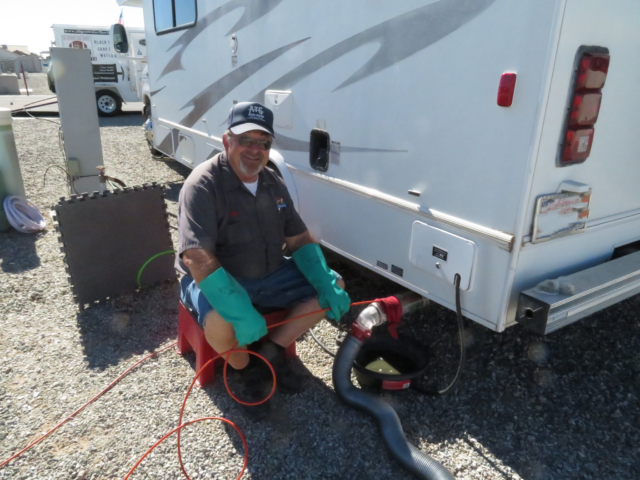 He said clogs are one thing, but just cleaning tanks is quicker and less expensive. John did a great job and I have to say, it's nice to know both my tanks are clean. I won't have to worry about having any issues for a long time. I would highly recommend All Pro Water-Flow if you are having any tank problems and need them cleared or cleaned out and sanitized. His contact information is on the trailer pictured above. He works in and around Yuma, AZ. The next morning I headed back to Hot Springs. Don Stier stopped by to visit for a couple of days over Thanksgiving on his way west. On Thursday morning we went to Los Algodones, Mexico for a little shopping and got some liquor to bring back to have a Tequila tasting with our snacks before dinner. He already had a bottle, a different brand name, so we had three kinds to try. They were three different prices, too and with Tequila, price matters. The one in the center, the clear one, was the best and cost the most. I'm developing a taste for Tequila, but after our tasting, I mixed mine with some water, honey and a little lemon juice. It was really good! Katie was pretty interested in what was going on above her on the table: chips and shrimp with dips galore! She's such a good girl, she never tries to get food that's not for her. Friday morning I drove to Imperial Dam LTVA and got a spot at Quail Hill, where I always camp. The weather has been great here, quite windy today but until now it's been perfect. I always like to get a site overlooking the dam and canals if I can, and again this year I was able to get one. Imperial Dam - you can see the water flowing and on calm, clear nights I can hear it. 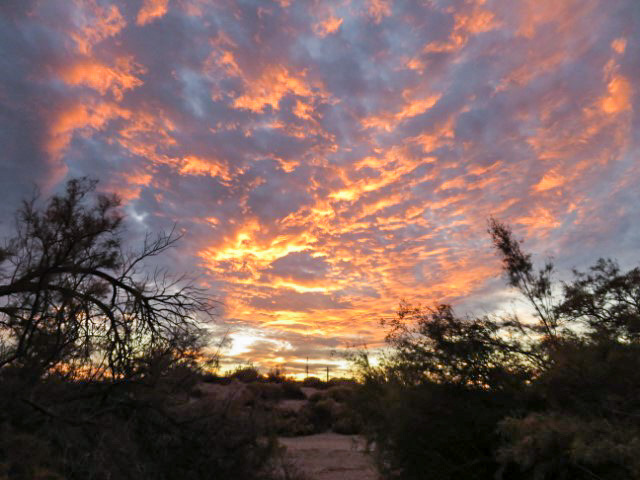 Dale Lafferty was camping here, too, and was going over to Los Algodones last week, so I made my dental appointment for Thursday morning and went with him. We drove our rigs to the Quechan Casino near the border and overnighted there and walked across the border the next morning. I had my annual dental check-up, x-rays and cleaning - everything was GREAT! - (thank goodness, after last year) - and we had breakfast and did a little shopping then back across the border to the Good Ole USA! That's about it in a nutshell. We're up to date. I've gotten involved in some new things and I started another blog, I'll tell you about those next time. From me and Katie, have a great week, everyone!